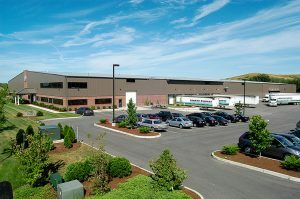 JSI Cabinetry was founded in 1997 and with headquarters and 125,000 square footage warehouse located in Fall River, MA. JSI offers rich details, attractive finishes, quality all-wood construction and an assortment of cabinets to fit your home and your lifestyle. Below are the different collections and finishes along with a Linear Foot Price that will guide you to see which collections/finishes are less expensive compared to others both in RTA (ready to assemble) or factory assembled option. Our ReStore is an authorized retailer of JSI Kitchen Cabinets. For custom orders, delivery estimate for RTA (ready to assemble) is 7-10 business days and for Factory Assembled 10-13 business days. Drop ship option is available for an additional fee of $150. Linear Foot Price: Our linear foot price is based on a regular 36” Base and 36” Wall Cabinet. This type of pricing is a common method used by kitchen cabinet retailers to help customers gauge which cabinets and finishes are less expensive and which cost more. We have priced out all of our finishes and listed the linear foot price on each display and door sample. Choose between a glimpse of history with finely detailed styling and charming paint and glaze finish or a more traditional style with soft ivory paint reminding you of sunny meadows or choose shaker styling for pleasant sophistication. Upscale and stately, details like applied moldings, posts and arches build layers of richness yet with a flattering price tag. JSI is now offering a limited selection of door styles and SKUs in today’s most popular accent colors. Spice up a few cabinets in any of our accent colors: Navy Blue, Royal Blue, Greige, Sage, Light Gray, Steel Gray, Dark Gray and Charcoal. We’ve compiled a comprehensive collection of cabinets, end caps, posts and panels that can be combined in infinite configurations to create a unique focal point or island for every kitchen. We’ve included a few ideas to get you started. Just imagine the possibilities! Now, you can have exceptional value and design flexibility with JSI’s Premier collection: Amesbury, Quincy and Plymouth. Amesbury and Quincy are available in Brown, Cherry and Espresso stains and Plymouth is a fashionable white paint. The Premier collection features an expanded cabinet and molding assortment giving you true custom design at an exceptional value. Constructed of slid wood with commercial grade hardware and durable finishes, Craftsman cabinets are specifically designed for multi-unit housing and budget-minded homeowners. Timeless designs add value when renovation older homes and buildings and making industrial to residential conversions. Best of all, quick delivery.